Citizen Soldier Resource Center - Page 153 of 155 - "A Resource Center for Part-Time Army Officers, NCOs, and Soldiers in the Army Reserve and Army National Guard." Should You Transfer to the Army IRR? Chuck Holmes September 26, 2018	 June 20, 2012	 10 Comments on Should You Transfer to the Army IRR? Should you transfer to the Army IRR, retire, stay in, or get out of the military altogether? This is a difficult decision that every Soldier has to deal with at some point or another in their career. It’s seldom anContinue reading… Should You Transfer to the Army IRR? 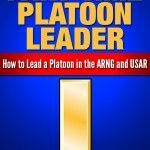 Chuck Holmes April 21, 2017	 June 20, 2012	 4 Comments on Are You an Effective Army Officer and Military Leader? As National Guard and Army Reserve Officers, we’re busy. We prepare slides. We host meetings. We attend meetings. We plan missions. We conduct counseling. We lead training events. And we do all this in addition to our civilian day job! 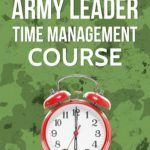 SimplyContinue reading… Are You an Effective Army Officer and Military Leader?